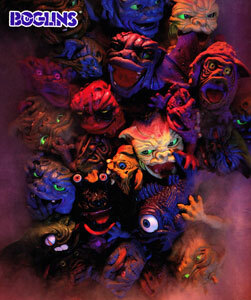 "From a swampy bog that time forgot... they're Boglins!" 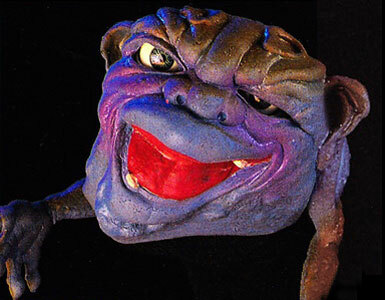 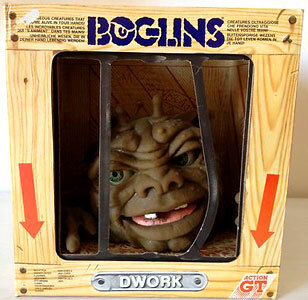 Boglins were produced by Mattel/Action GT/Ideal in 1986-94 and started life as a series of large, rubbery monster handpuppets with moveable eyes which were sold in "caged" packaging. 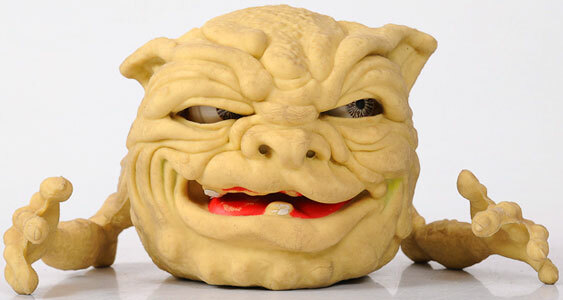 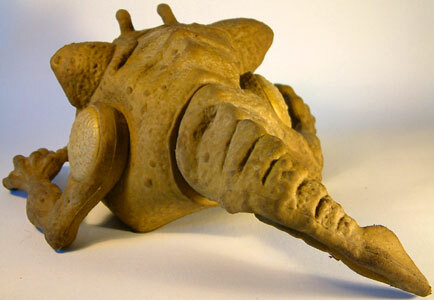 There were also several smaller versions, miniatures, stickers and various other items as the line grew in popularity. 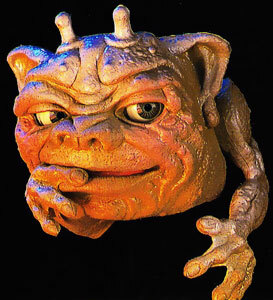 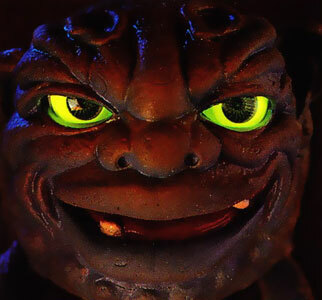 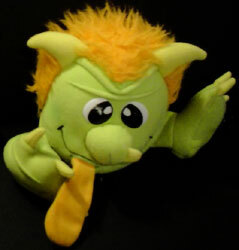 Boglins were firstly produced by Mattel in 1986 for the US market (which lasted about two years), and then taken over by Action GT and Ideal (also marked Seven Towns) for the UK/Euro market. 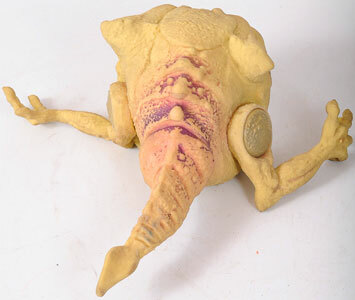 In 2000-01 the line was reissued by three more UK/Euro companies (Lansay, Awesome Toys and Vivid Imagination)with a small, new line of toys. 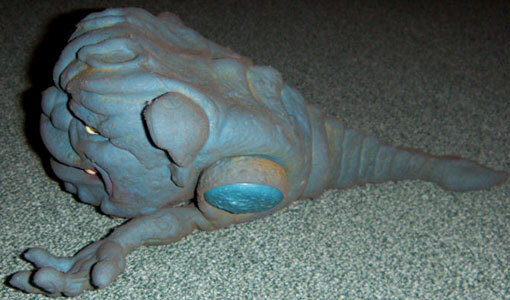 "This may be the most significant discovery in history! 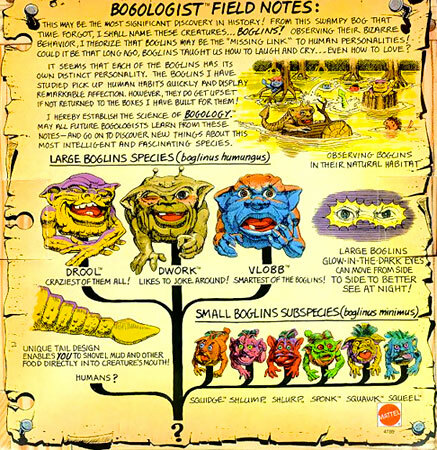 From a swampy bog that time forgot... they're Boglins! 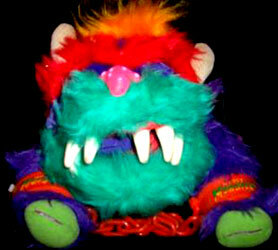 These loveable creatures come alive in your hands! 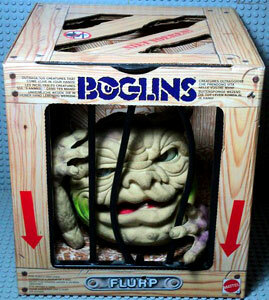 Kids just put their hands through the bottom and Boglins come ”alive!" 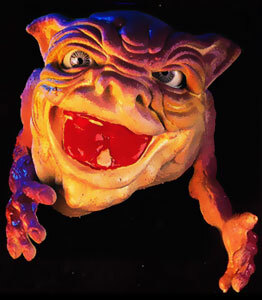 Large Boglins have a unique eye mechanism which allows their glow-in-the-dark eyes to track back and forth and even wink! 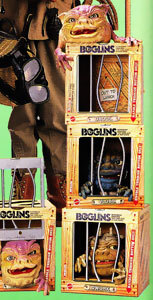 The distinctive four-colour box comes with plastic cage door and colorful graphics!" 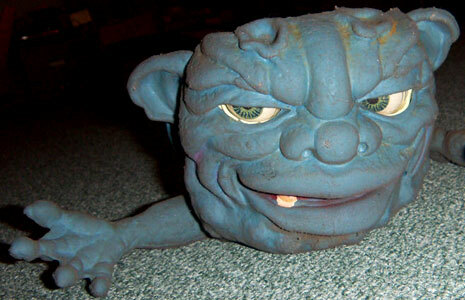 There were three large Boglins produced, measuring about 10 inches heigh and had moveable, glow-in-the-dark eyes. 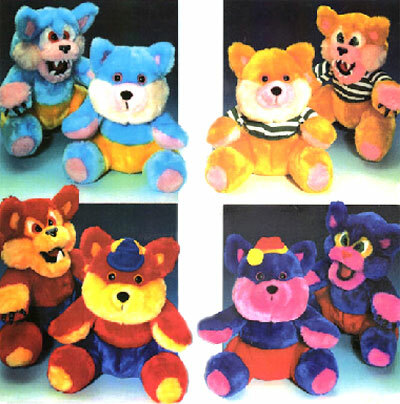 Two of the three had different names in the UK from the US. 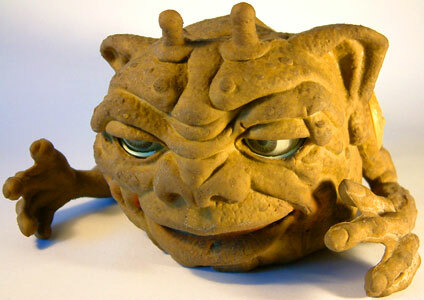 These three Boglins were also produced as Hairy Boglins and Wiggly Tongue Boglins. 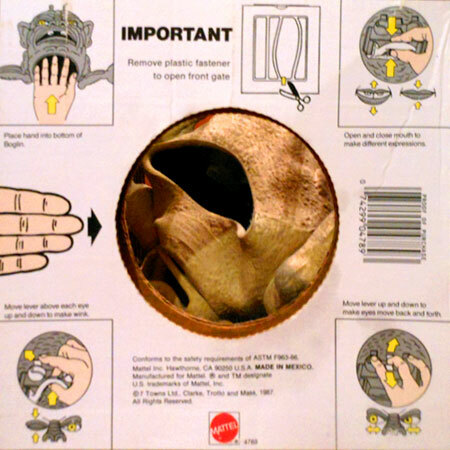 US Mattel packaging had silver plastic bars, whilst the UK Mattel packaging had black plastic bars. 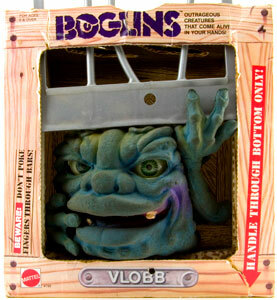 There was also packaging with simple carboard bars produced by both Mattel and Action GT.